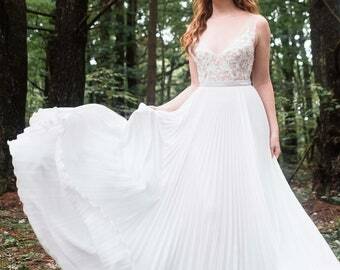 Announcement Want to try on a gown in person? 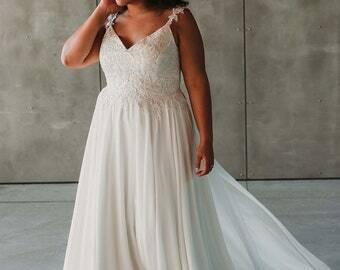 Rebecca Schoneveld bridal gowns and separates are available at retailers across the country. 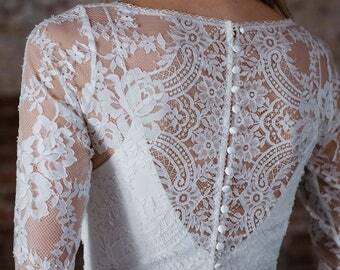 You can also visit our flagship boutique, Schone Bride, which is located in Brooklyn, New York. Appointments and inquiries can be made by emailing hello [!at] schonebride.com. 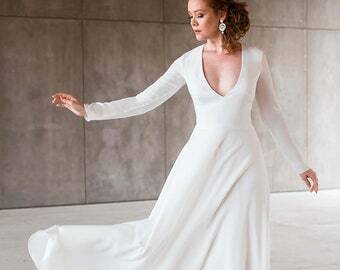 Rebecca Schoneveld Bridal gowns and separates are truly a work of art, individually created for each bride with many custom options available. 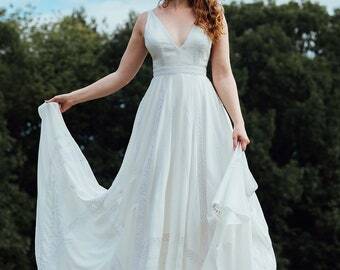 With a strong focus on quality textiles and precise proportions and fit, our gowns are designed to enhance a woman's natural beauty and elegantly emphasize her sophistication. 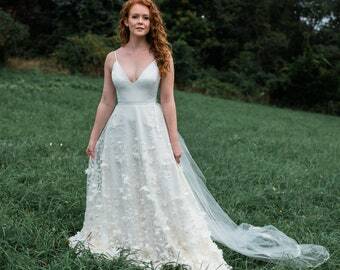 Each gown is designed to have several customizable options such as interchanging skirts and bodices, changing length, adding or removing sleeves, and customizing color. 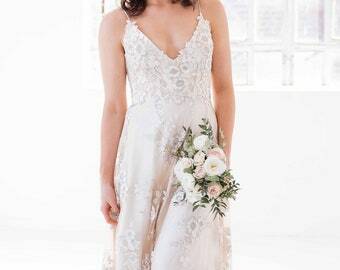 We truly take great joy in working with each bride to create her dream gown, perfectly suited to her figure and occasion. 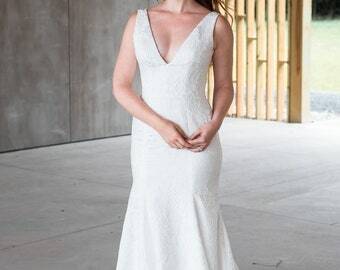 Want to try on a gown in person? 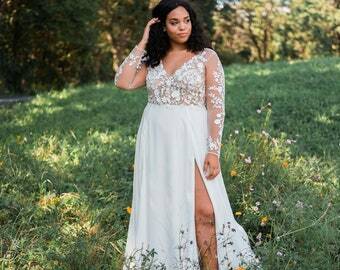 Rebecca Schoneveld bridal gowns and separates are available at retailers across the country. 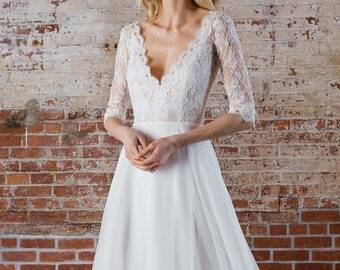 You can also visit our flagship boutique, Schone Bride, which is located in Brooklyn, New York. Appointments and inquiries can be made by emailing hello [!at] schonebride.com. This wasn’t as high of quality as I expected - very stiff and scratchy. I returned, but begrudgingly as I bought my dress here. 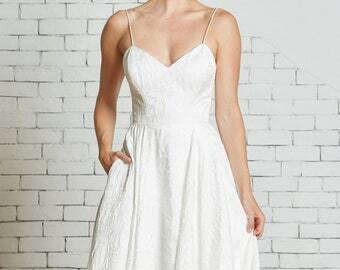 Wore this over a white bodice top for my rehearsal dinner. It was perfect. Excellent quality! it is a little shorter, but will tuck perfectly into the gorgeous pants I bought! so flattering. I have to have them hemmed, but they would be gorgeous on someone long and lean too! Our storefront and design studio in Brooklyn, New York. A ton of careful handwork goes into the creation of our gowns! Q: WHERE DID YOUR LOVE OF FASHION COME FROM? A: It was inherited from my grandmother, my mom's mom, who was the most stylish woman ever. She'd dress up to go to the grocery store. The woman had killer instinctual style. My resourcefulness in discovering my own style came from my mom. She taught me how to sew at the age of four, and I was hooked. We didn't have any extra money when I was younger, and so my love of sewing and fashion was born out of necessity. I couldn't buy new clothes, so I went to the thrift store and bought gowns from the 1970's and recreated them. My prom dress was created from a dress pattern from the 1950s. Q: AT WHAT POINT DID YOU REALIZE YOU WANTED TO TURN THIS LOVE INTO A CAREER? A: When I was in high school, I made a simple draw string skirt. Friends kept asking where I got it from, so I started selling them. I always had a love of business, and that entrepreneurial itch was there since I was a kid. I never considered myself a designer, though. Even after attending the Fashion Institute of Technology in New York, one of the most prestigious design schools in the world, I always thought of myself working in the industry, but never considered myself a designer. Q: DID YOU START WORKING IN THE INDUSTRY AFTER GRADUATION FROM FIT? A: My first job in fashion came a few months after graduation. I got a temp job at J. Crew making copies. My next job was picking thread colors for the men's division. Then I graduated to an assistant designer position for a contemporary collection when I was just 19 years old. I was let go from that job and spent time working at a few different companies, including a mass market company that created millions of units of awful camp shirts for WalMart. I remember thinking that I was literally creating a landfill. I hated feeling that my impact on the industry was creating crappy products that were going to end up destroying the environment. I wasn't being true to myself. Q: WHEN DID YOU DECIDE TO BRANCH OUT ON YOUR OWN? A: It was March 2006. I had recently met the man who is now my ex-husband and he encouraged me in my talent as a designer, and I started embracing that maybe that's who I am. I had always loved dresses, back to my thrift store and home sewing days as a teenager. I started Schone Maternity, an eco friendly collection of contemporary dresses and separates for pregnant women. Within two years, I was getting purchase orders from Neiman Marcus, Nordstrom and some of the other larger retailers. I was on the forefront of the up and coming design initiatives with the first ever eco-friendly maternity collection, which was so much of where my heart is. Then the bottom dropped out in 2008. Q: THE RECESSION IMPACTED SMALL BUSINESSES EVERYWHERE. HOW DID YOU RESPOND? A: I had to shut it down and went back to working for a company that I didn't like. I struggled with feeling like I was forcing myself to fit into jobs that didn't speak to my heart. I wasn't being authentic. I had this love of fancy dresses and I wasn't doing anything with it. 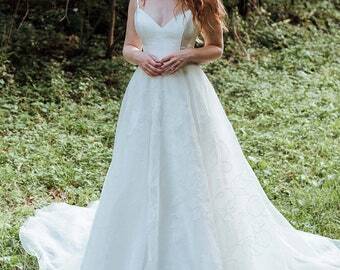 I had made my own wedding dress when I got married, and wanted to get back to the roots of what I loved. After a series of crazy events, including our house catching fire and moving to California temporarily, I found out I was pregnant. I knew I couldn't continue working in jobs that were sucking my soul, but I wanted to be able to contribute to our family financially after my son was born. So, pregnant belly and all, I decided to use some leftover fabrics from Schone Maternity to start a new collection of cocktail gowns that I was making in our apartment. I launched an Etsy store and had 40 orders in my first month. 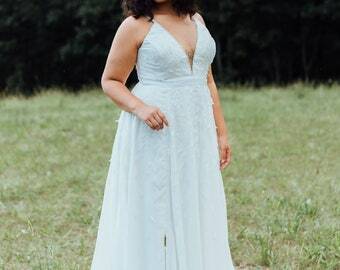 I started getting contacted by brides who wanted the same dresses I was selling to be customized to be long and white. Q: IS THAT WHERE THE BRIDAL COLLECTION WAS BORN? A: Yes! Out of necessity, since we didn't have much budget to work with, I started doing mix and match collections of bridal gowns. 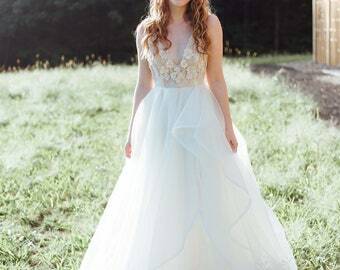 I wanted each bride to feel like her dress was uniquely her style, and the customization aspect was important to me. 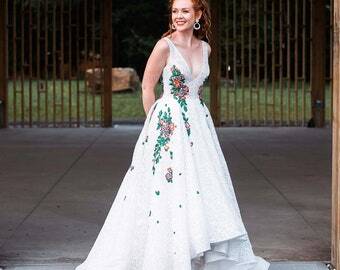 I started hearing from brides who had been to the majors, like Oscar de la Renta, but they chose my gowns instead! I finally started accepting the title of "designer" at this point. The business started doubling each year. I realized that once I followed my passion and was true to my love of evening wear, and combined that with my love of making women feel beautiful, that the business was sustainable. 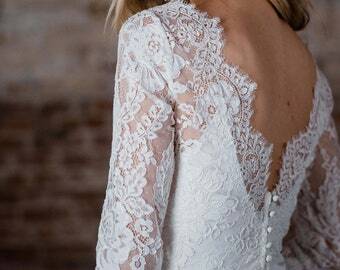 Q: WHAT IS THE HEARTBEAT OF REBECCA SCHONEVELD BRIDAL? A: I want women to be free to be authentic. I understand how easy it is to feel like you're being shoved into a mould that doesn't fit you. 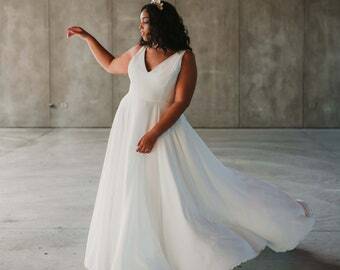 I want our brides to feel cared for and free to be unique. That's what drives my passion every single day. Besides being Mama to Rebecca, Anneke, and their 3 brothers, Colleen is also a creative maven, a supportive wife, a lover of music, nature, and God. She lends her skills beautifully to Rebecca, carefully and lovingly hand sewing gowns. We partner with a very well renowned and well vetted sewing facility in New York City's famous Garment District. This bright, clean sewing room strictly adheres to all laws and regulations and works with many of the best labels in the world. Our Bangalore partner is a family owned and operated embroidery and sewing facility. Established in 2001 and now a flourishing operation of 120 well cared for staffers, this lovely company is one of the best in the world at hand embroidery and beading. Welcome! Thank you for taking the time to read through our Policies and Procedures. 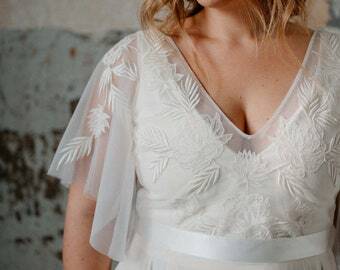 If you are able to come to New York City, we would love to meet with you in our Flagship Brooklyn boutique, Schone Bride, to try on samples, review fabric options, colors, and take measurements in person! All of our Collection pieces are cut to order and are non-refundable. All of our "Ready by Rebecca Schoneveld", accessories, and sample sale items are in stock and can be refunded if returned within 7 days in the same condition. It is quite normal to need local alterations on special garments like these to achieve a custom fit. Please always feel free to email us if you have any questions at all! Unfortunately, we cannot accept returns on cut to order garments as these are made specifically for your order. Each piece is carefully inspected before it ships out, but if by some chance your garment is damaged when you receive it you can return it to be fixed and I will cover shipping expenses. Please contact us ASAP when you get your order if there is damage. If it is damaged during transit please contact me ASAP to make arrangements. Please understand that although precise and standardized procedures are followed in order to size each garment, additional alterations with your local tailor are expected. This is not an acceptable reason for returning a custom item. For Ready-to-Ship/ sample sale styles, we can accept returns within 7 days so long as it is in resell-able condition. We must receive and an email in advance to approve the return. There is a $20 restocking fee on all returned gowns. Please convo us if you have any questions or concerns. It is our genuine desire to make every client truly happy! 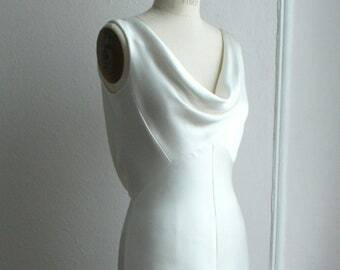 For cut to order pieces, once all details are agreed upon and finalized, a custom listing will be created for you. A 50% non refundable deposit is due to confirm the order and commence production. The final 50% plus shipping is due when the order is ready to ship. For Ready-to-Ship pieces and sample sale items, payment in full must be received before item will be shipped. If payment is not sent within 48 hours, the order will be relisted. International orders may have additional customs/taxes/duties added which varies by nation. We cannot control these rates and should be budgeted for separately. All items shipping within the Continental US are shipped via FedEX (tracked and insured), unless otherwise specified or requested. You will be notified by email when the shipment goes out. Items shipping internationally will ship with USPS and additional insurance is included in the shipping amount. You will also receive a tracking number and confirmation when your item(s) have shipped. PLEASE NOTE that additional CUSTOM/DUTY FEES may be applied to your shipment and that you as the buyer are fully responsible for these fees. These charges will increase your final total by approximately 30%. Please allow up to 5 days for shipping within the USA, up to 10 business days for international shipments. If you require expedited shipment we can accommodate you, but higher shipping rates will apply. Please note that our international estimated delivery time does not take into consideration if customs intercepts your package. 1) Measure at the widest point of BUST, narrowest point of WAIST (where your torso bends from side to side), and widest point of HIPS (9” below waist). It is generally best to have someone else take your measurements for best accuracy. Breathe normally and make sure that the measuring tape is horizontal! 3) Please note any special requirements or concerns please contact us. If you are over a size C cup, are pregnant, very petite etc we can offer you certain customization options at an additional charge. ***PLEASE NOTE*** IT IS HIGHLY RECOMMENDED THAT YOU HAVE SOMEONE ELSE MEASURE YOU FOR BEST ACCURACY. 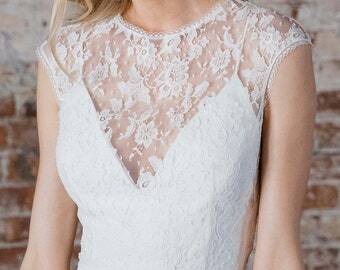 It is important that you get measured while wearing the same foundation garments (Spanx if needed) that you plan to wear with your dress! Control top pantyhose, padded bras, etc, will all affect the fit of the garment. A) WAIST- Place your hands on your natural waist- this is the point where if your torso bends when you bend side to side. Note this measurement. B) BUST- Measure at widest point of bust, and be sure your measuring tape is parallel to the ground (don't let it dip to the back!). Drop your arms to your sides and breathe normally. D) HIPS- Measure at the widest point, generally about 9" below your WAIST.